Make the Most of Your Spring Break at Bob-O’s! We’re deep in the month of March which means you can never be sure if it’ll rain, shine, or even snow in the El Paso area. The weather this past week has been nothing short of confusing and unexpected. Today, however, the weather is finally starting to feel more pleasant so Spring Break is actually starting to look a lot more like Spring itself. 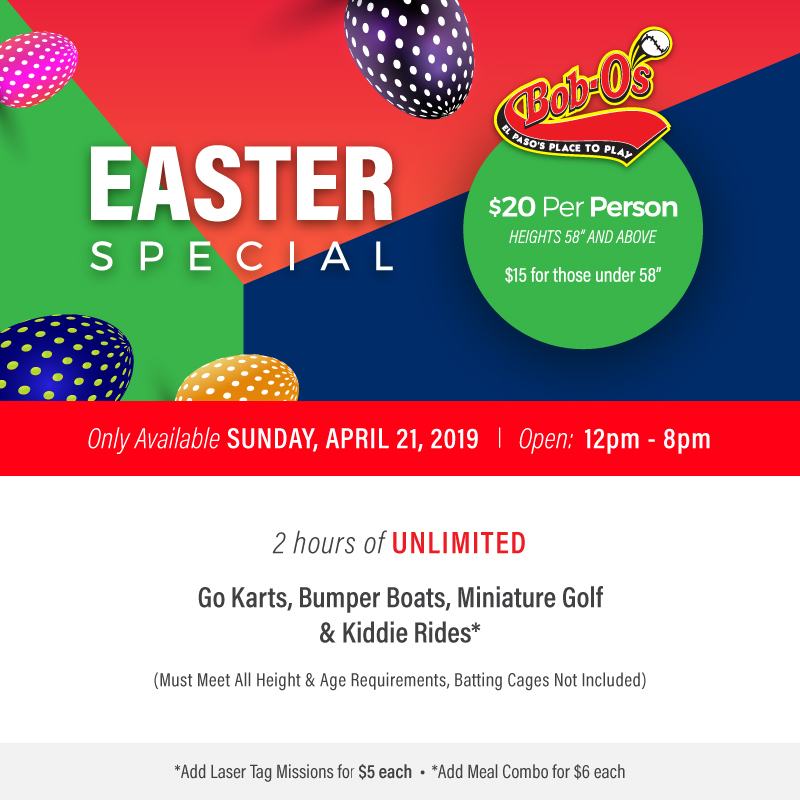 Why not make the most of this perfect weather and have some family fun at Bob-O’s? Plan for a day of fun and excitement by bringing your friends and family to Bob-O’s. Since we have indoor and outdoor activities available, you’ll be able to have fun, rain or shine. Fun Things to Do in El Paso, Only a Short Drive Away! Sure, El Paso may not have the beautiful beaches of California, the lush green forests of the Pacific Northwest, or the expansive lands of Disneyworld in Florida but we do have Bob-O’s Family Fun Center! You can spend this spring break racing your friends and competing against one another in our Laser Odyssey arena. Just imagine spending an entire fun-filled day at Bob-O’s, beating high scores in our state-of-the-art arcade and going up against your friends in our bumper boats. We also serve delicious food and refreshing drinks so your entire group can have a full day of fun and excitement within the Bob-O’s Family Fun Center grounds. We’ve designed Bob-O’s from the ground up to be fun for people of all ages, friends and families alike. If you’re feeling spontaneous, get a group of friends together and drive down to Bob-O’s! When it comes to the start of the year, students all across the United States look forward to spring break. This week-long holiday is a time to unwind and relax but there’s also a need to make the most out of this newfound freedom. 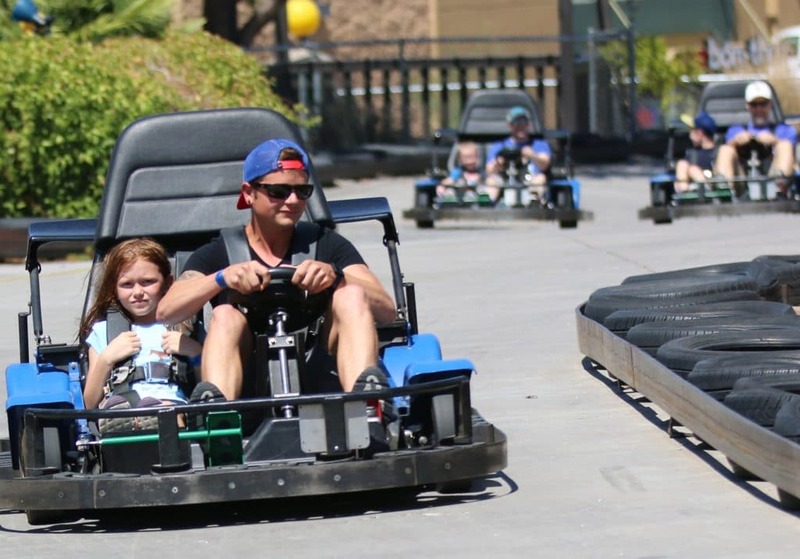 If you’re feeling spontaneous and you’d like to take your children and their friends out for a day of fun and excitement, why not bring them to Bob-O’s Family Fun Center? You can have fun with your friends as well! See who’s swing is the best in our batting cages or play a round of mini golf. No matter what you choose to do, you’ll have fun doing it! Check out our Spring Break hours or give us a call today to learn more about what we have to offer.